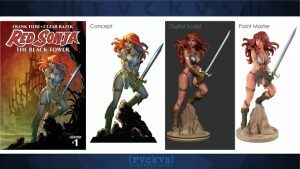 Dynamite Entertainment is pleased to announce the launch of their exciting new Kickstarter crowdfunding campaign, which celebrates the storied history of their most iconic comic book character, Red Sonja, with a set of three stunning statue options based on the artwork of legendary comic book artist Amanda Conner! Expected to ship mid-December 2017, these dazzling new statues will add a little dynamite to any fan’s Red Sonja collection! 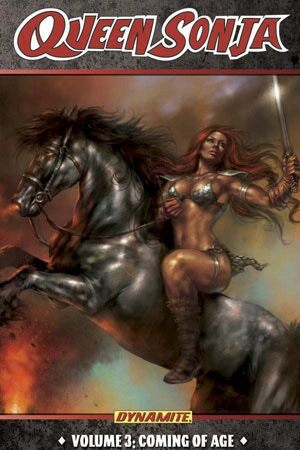 Red Sonja, the She-Devil with a Sword, is a fictional character, a high-fantasy sword and sorcery heroine created by Robert E. Howard, and adapted for comics by Roy Thomas and Barry Windsor-Smith. 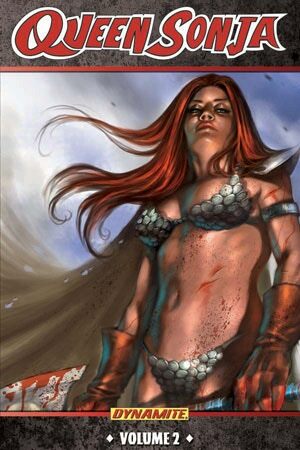 She first appeared in Conan the Barbarian #23 (Marvel Comics). 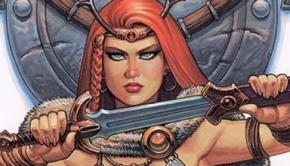 For a decade, Red Sonja has had many successful series with Dynamite Entertainment, including monthly, mini-series, one-shots, and crossovers. Fan-favorite comic book artist Amanda Conner began her professional career as an illustrator for New York City ad agencies, but her passion for comic books and cartooning soon led her to the comics world where she initially found work at companies such as Archie, Marvel, and Event Comics. Since then, she has become one of DC Entertainment’s highest profile creators, and has worked on many popular projects including Harley Quinn, Vampirella, Painkiller Jane, as well as creator owned projects Gatecrasher and The Pro. 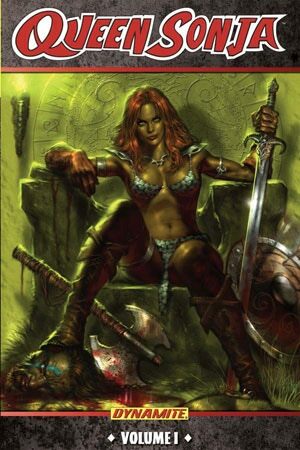 Conner served as cover artist for Gail Simone’s Red Sonja #1 in 2013, as well as the Red Sonja The Black Tower run in 2014. Now, Dynamite proudly brings Conner’s vision of the “She-Devil with a Sword” to three dimensions with this hand-painted, limited edition resin statue line! 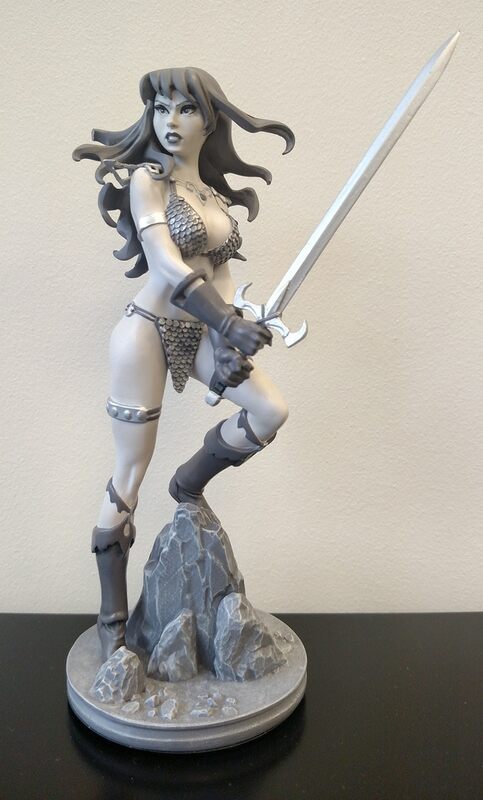 Based on Conner’s cover artwork to Red Sonja: The Black Tower #1, the full-color statue is sculpted by Jason Smith, measures approximately 7.5″ high, and stands on a 3″ wide base. Further options available include the noir “black and white” edition, and the beautiful “bronze” edition (stretch-goal edition). 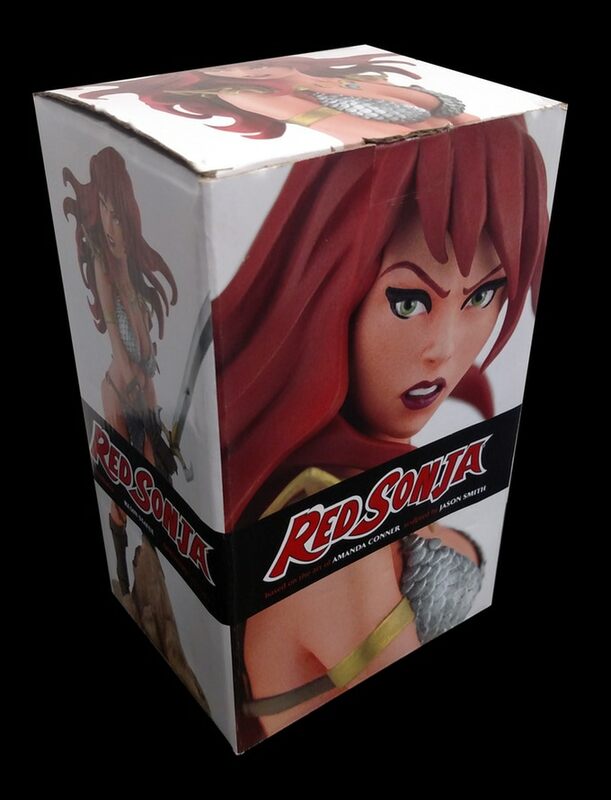 The Women of Dynamite Red Sonja J. Scott Campbell black and white diamond-eye statue, and more! 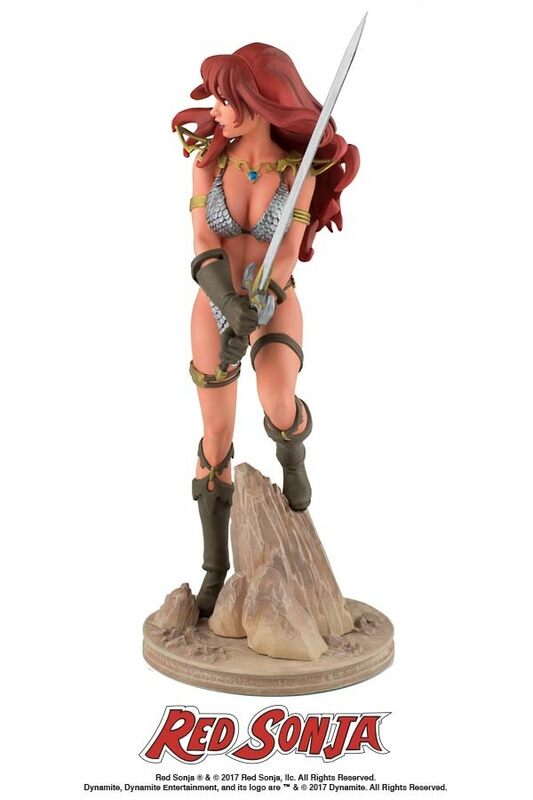 The Dynamite Amanda Conner Red Sonja Statue Kickstarter is available for a limited-time only at the special Kickstarter price. 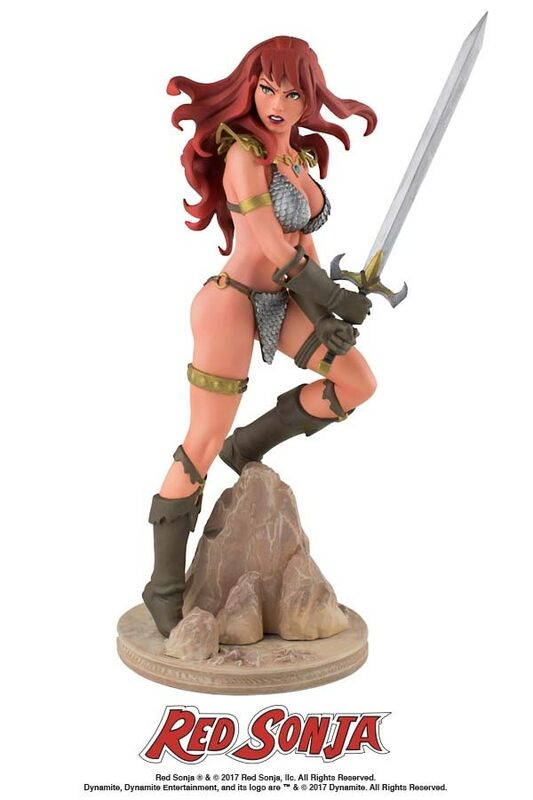 Backers can get on board and gain access to all these amazing rewards by visiting https://www.kickstarter.com/projects/dynamiteent/red-sonja-amanda-conner-statue today!